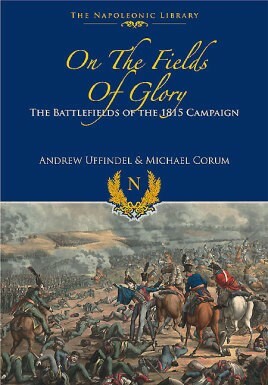 This spirited history of the 1815 campaign provides a stimulating account of the epic confrontation at Waterloo and, in addition, acts as a reliable guide to the battlefield and all related sites. The authors have divided the battlefield of Waterloo into three distinct sectors: one for each of the three armies involved. This allows the reader to follow the fighting from three different perspectives and gain an objective understanding of the dramatic course of the battle. The authors also make use of vivid eyewitness testimony, drawn from participants in all three armies, and this brings to life the epic battle and provides a dramatic backcloth to the rapid course of events. Previously unpublished letters from British officers, the recollections of a Dutch-Belgian staff officer and the memoirs of a French colonel of cuirassiers all contribute to an understanding of just what it was like to fight in one of Europe's most crucial confrontations. In addition to covering Waterloo itself, this important book also examines the tense situation in Brussels as the French drew near, the aftermath of the battle, the battle at Wavre, the Prussian pursuit and Marshal Grouchy’s stubborn defense of Namur.